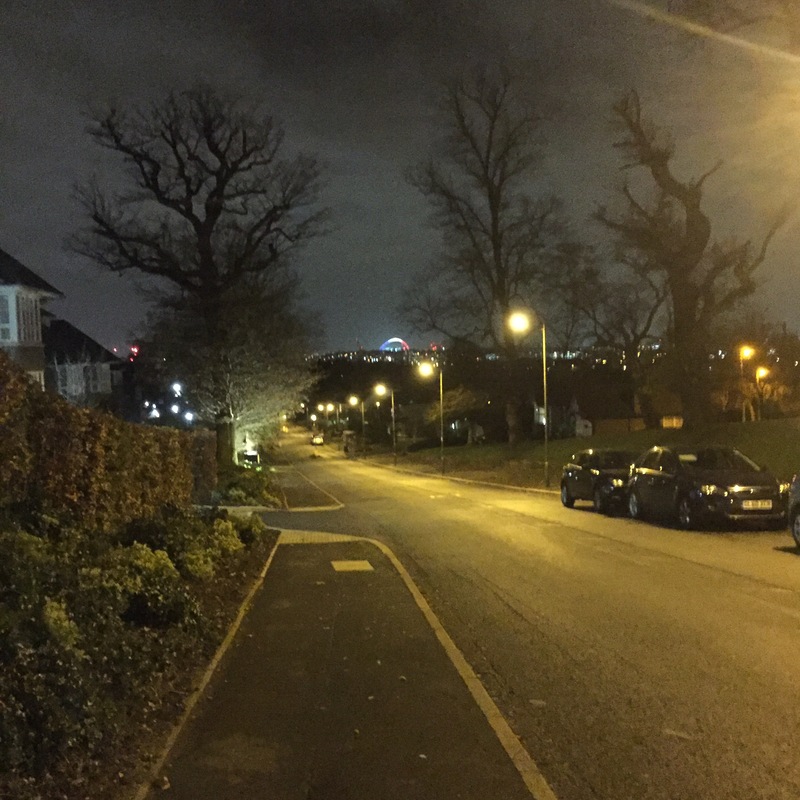 I was walking home from my local pub and noticed the arch. 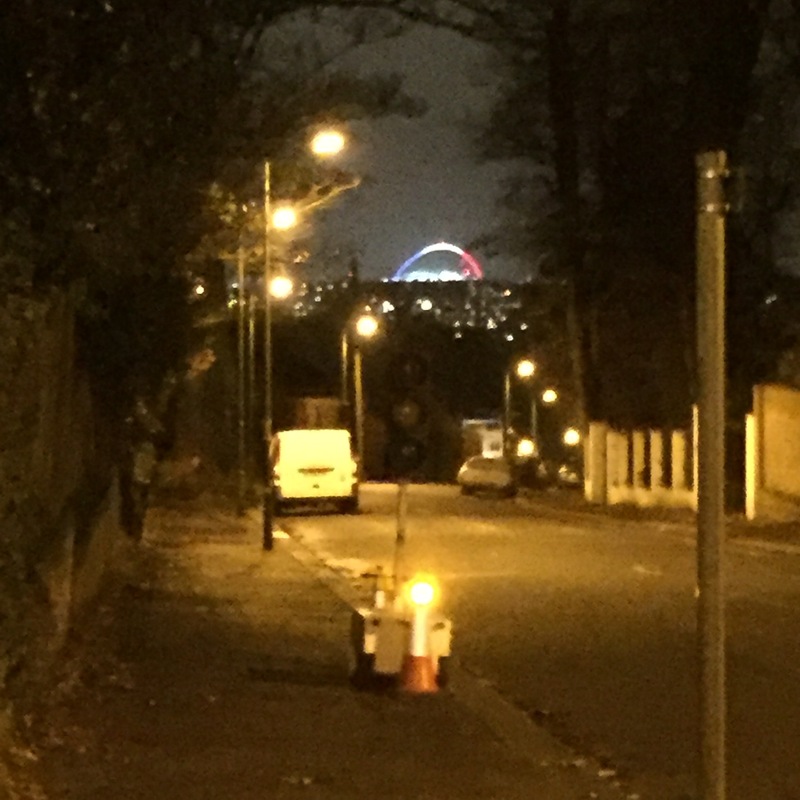 I really needed a much better camera but I liked the sentiment and the effect of the arch at Wembley Stadium lit up like the French flag. What has happened in Paris has shocked me. I have been to the city a few times, I have always had strong feelings there so hearing the news this morning has shocked me and made me feel very angry. Why didn’t the French authorities see this coming, since the Charlie Hebro attacks I would of thought that they would of improved their Intelligence network. But Paris has become a blood bath once again. Now Hollande has said this is an act of war from IS. So what happened to the war we are already waging against IS? The facts are the facts and what I see is just pure terror in the form of a generation bent and twisted by a world crippled by corrupt ideology. It’s not helping that so many refugees are put into camps around France where the fuel of discontent burns. It’s time to help France on all levels the divides need to be broken down and a more unified France needs to stand up. This war truely started when the twin towers fell in New York, but when will it end? Seriously America get rid of your guns. And due to the gang culture in America it would help if you dealt with the problem instead allowing your antiquated laws rule you. IS destruction of Palmyra saddens me. I love history and ancient architecture but what IS has done to Palmyra truly saddens me. It’s not the first time that civilizations have wiped out other civilizations to leave only whispers of an unknown past. You have conquest, you have destruction, but this is true obliteration. What I am confused at is that IS are destroying Islamic-Syrian-Persian identity. These places were used as places of worship by ancient Islam, so were blessed as sacred ground. There is also destruction of what IS call idols but are in fact most likely busts or full statues representing real people from the past. Ancient art destroyed, looted and sold. I am truly sorry that the majority of the Syrian people have to leave the country they love because of this war. I just wish for IS to understand that they are not destroying our history but more likely their future.